Today's task will involve two micro-tasks. The first one involves changing some labels across ulogs.org and the other involves re-arranging the "trending hashtags" column. both upon login and prior! 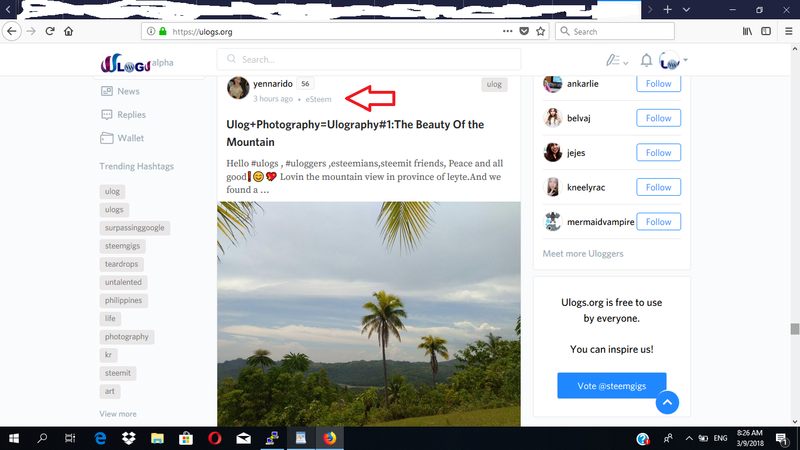 We would like you to divide that "trending hashtags" column into two separate parts, to indicate "Ulog & Ulog-subtags", separately from "Steem Hashtags", with each columns maintaining its "view more" component. For the "Steem Hashtags" column, simple add #teardrops #untalented #surpassinggoogle to the top of the list, followed by the default list of "steem's trending hashtags". 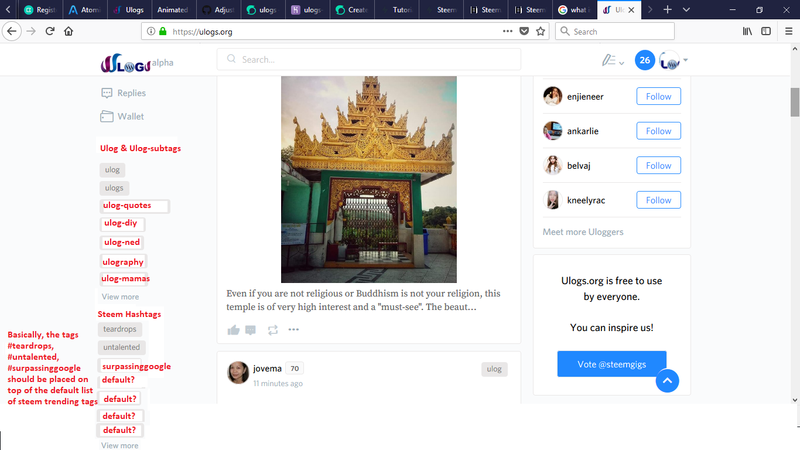 Each of the hashtag tab on the lists for each column, should link to its corresponding hashtag URL on ulogs.org (like normal). 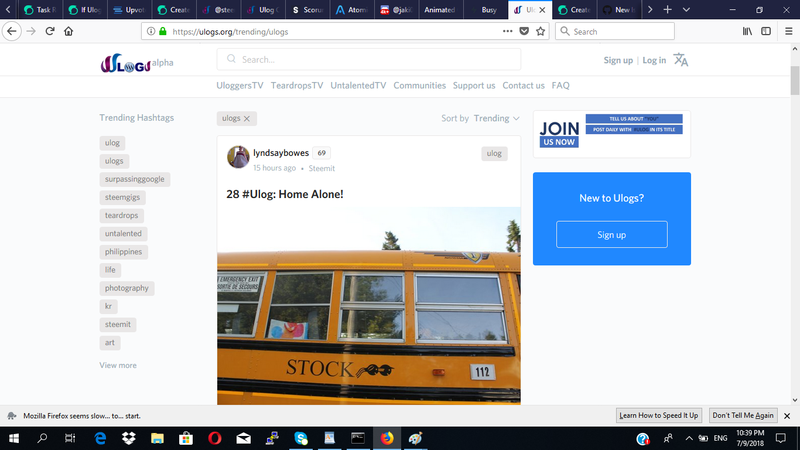 Please Help Us Change Some Labels On Our Website To Show "Ulogs.org" In Place Of "Busy". 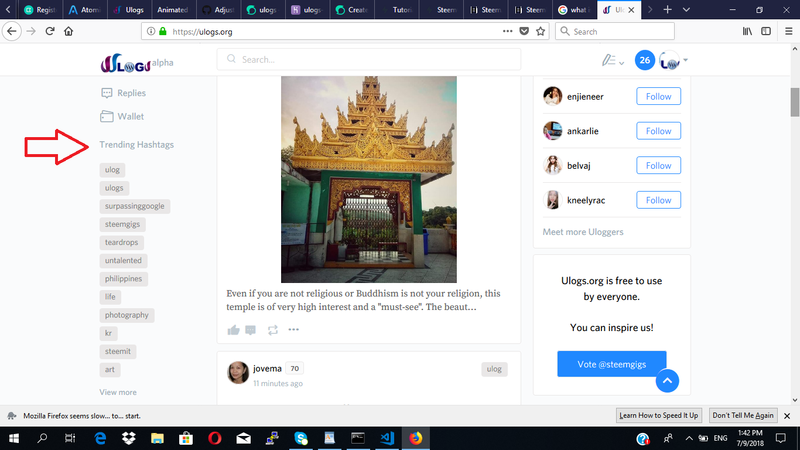 Please help us, do some edits to the Ulogs.org code, so that it indicates that "Ulogs.org" was used, in cases where https://ulogs.org was used to make a comment or post. This will help us especially with manual curation and analytics, among other things. 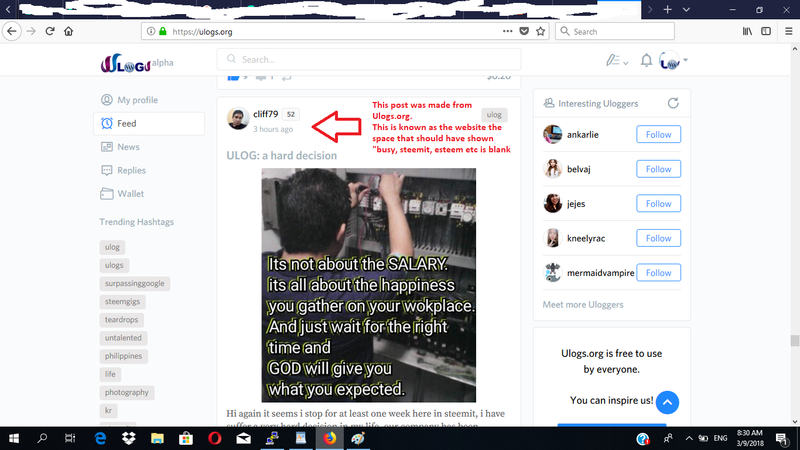 For comments, ulogs.org indicates the word "busy" even when ulogs.org was used. However, it shows "steemit" etc when other condensers are used. This should be maintained! 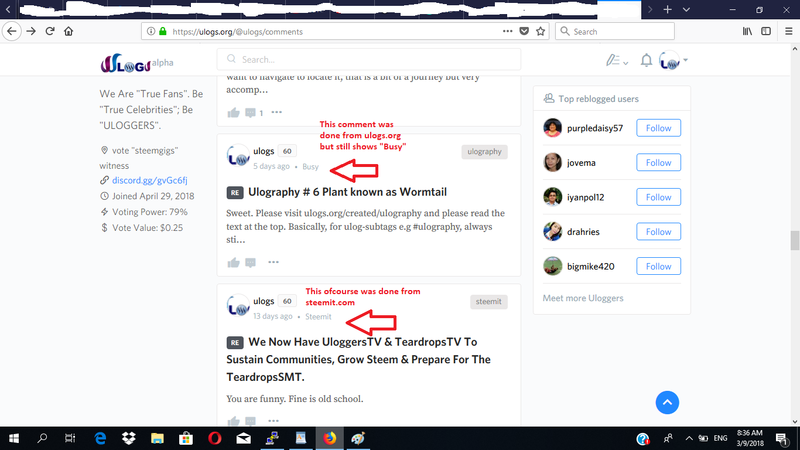 Please help us change label(s) accordingly across our website, so that posts and comments made using https://ulogs.org indicates so, with the word "Ulogs.org", while maintaining existing "style" for other condensers. Though the task request post appears lengthy, i believe the task request is quite easy to accomplish as the components to accomplish both already exists with the code. The first part of the task involves replication and the second part of the task may simply involve a "label change". If you are a veteran coder and especially, versed with React JS and the busy.org framework, you can certainly carry out your own build. If you aren't very versed with coding and you want to attempt the task, we can always discuss possible solutions, logic etc We just may find answers. Overall, carry out the task according to your preference and expertise, submitting a pull request and thereafter a post following Utopian's guidelines for Development (contributions). You can also indicate interest by leaving a comment underneath this post or on Github. It is recommended that we are able to discuss, for a better understanding of the task.